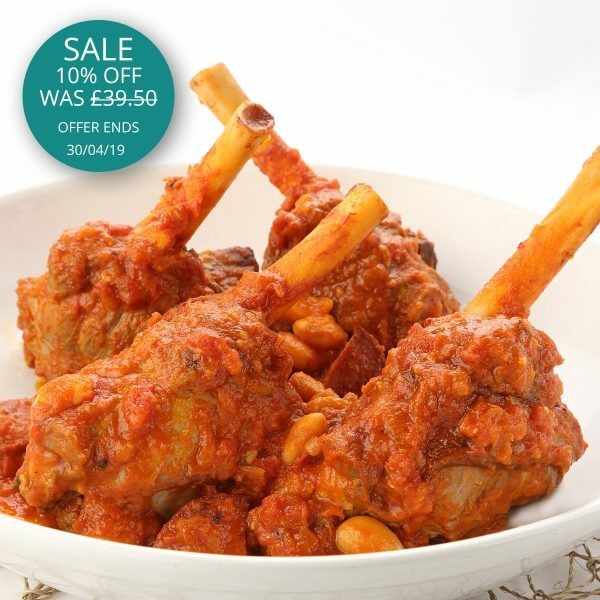 Braised lamb shank with butter beans and chorizo - home cooked food delivered. Prime Northumbrian lamb shanks, olive oil, onion, garlic, tomatoes, white wine, chorizo, butter beans, seasoning. Preheat the oven 180c. Place the contents in roasting tin, cover with foil and a splash of water and cook for 40-45 minutes till piping hot. Keep refrigerated for 3 days or freeze immediately.